For years we’ve been warned about the dangers of the sun. The Center for Disease Control and Prevention recommends avoiding exposure to direct sunlight, wearing long-sleeved shirts, pants, and sunglasses while the sun is high, and applying toxic chemical sunscreen directly on the skin. In fact, there’s been so much propaganda about potential risks of the sun, some people live their life in a nearly obsessive preoccupation to avoid it. And some take a different approach. They eat it. The ancient practice of Sungazing originated in India around 2600 years ago. It is believed that directly staring at the sun for a slowly practiced and increased amounts of time, stimulates and activates the pineal gland, and eventually, removes all hunger from the body – permanently. But not all who practice sungazing aim for breatharianism. Some use sungazing for heightened spiritual states, while others practice purely for the increased energy and stamina they experience. I first heard about Sungazing early last year, and began experimenting with it while living in Italy. Gazing at the Tuscan sun filled every cell in my body with bliss. Due to my rapidly increased levels of energy, improved sleep, and enhanced mood, I became obsessive about researching this topic. That’s when I found the documentary, Eat the Sun and realized I wasn’t the only one experimenting. To help fuel the conversation about this ancient practice, I asked the film’s director, Peter Sorcher, to stop by Chakra Center today and share his experience making this thought-provoking and controversial film. What is Eat the Sun about? Eat the Sun is the story of an ordinary guy named Mason who takes up the ancient practice of ‘sungazing’ – looking directly into the sun for long periods of time. The film follows Mason on a fascinating, often, hilarious road trip that reveals a surprising twist and will challenge deeply held beliefs. Who were the first Sungazers? Sungazing has its roots in ancient civilizations – from the Incas and Aztecs to the Greeks and Egyptians – but today, with the help of the Internet and an Indian gentleman who goes by the acronym, HRM, this revived practice is gathering global momentum. Tell us how the concept for “Eat the Sun” was born. I was new to the Bay Area, having just arrived after living and working in New York City for 10 years. I met Mason at a party in San Francisco and he started telling me about this crazy thing that he was doing – looking directly at the sun. My first thought: “Welcome to San Francisco.” I definitely reacted with some judgment as this was certainly on par with my perceptions about Northern California. And it seemed utterly ridiculous to me. But I liked Mason and his unabashed enthusiasm. Months later, I ended up giving Mason a ride to the mountains and we had a few hours to really talk. He was still sungazing – up to 30 minutes – and he was so incredibly enthusiastic about the practice and the physical sensations that he was experiencing. I immediately thought that is was a potential film idea and I decided to do a test shoot with Mason and a few of his classmates who were also sungazing. After that, I was hooked. I started filming Mason sungazing and then I met HRM. I liked the idea of this whole sungazing movement flying in the face of what most people would consider plausible and also felt that there was a real story to tell. What would you say is the overall message of the film? The entire notion of sungazing sounds ridiculous because it runs contrary to two of the most universal and widely held beliefs: that it’s dangerous to look at the sun, and that it’s not only dangerous but impossible to not eat. Food and eating is so central to almost every culture and the mere suggestion that this is unnecessary really creates a strong reaction from people. What I also find very interesting, and one of the reasons I wanted to make the film, is that most people have a belief system which is usually formed from how and where they were raised, what culture they were born into and how their parents and community organized these sort of spiritual concepts. For me, when you really think about it, if most people didn’t believe in Jesus and someone confronted you with this notion you might think that it was odd or even ridiculous. I hope that the film provokes some interesting conversations about belief and challenges audiences to look objectively at their own. Through your research/filming, what have you discovered is the reason for the more recent practice of sungazing in the West? People are sungazing for all sorts of reasons in the west. 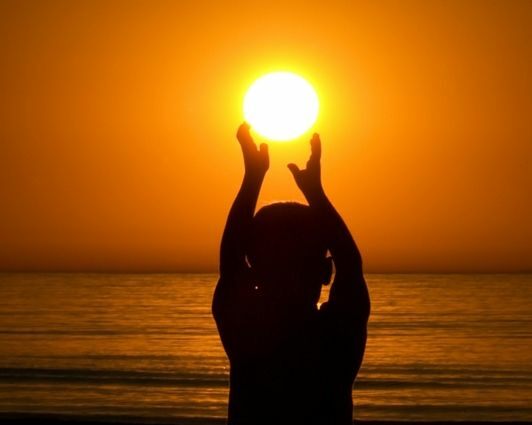 Some are doing it for more spiritual-minded reasons; they feel that there is a special connection that they get from looking at the sun. Others have definite goals that they want to reach; they’ve heard that if you follow a certain protocol that looking at the sun can lead to a life of not eating. In one case, we did see a dramatic loss of weight from an over-weight person and our main character, Mason, did go for almost a month not eating. A lot of folks just like the sensations they get and the feeling of more energy. Do people really not eat in the film? How? Good question. HRM, the Indian gentleman in my film who is a strong proponent of sungazing, prescribes a sungazing protocol of standing barefooted on bare earth and adding 10 seconds daily until you reach 44 minutes of continually looking at the sun. According to him, at this point, you won’t have the desire or the need to eat food anymore. Many sungazers I met were motivated by his ideas and many reported major weight loss and less interest in food, especially processed foods. HRM was studied a few times and the one study that sort of put him on the map was a hospital-supervised study where he supposedly went 411 days without eating. At the time we filmed him, he claimed not to have eaten in 8 years. Mason, our main character in the film went almost a month without eating, the first 8 days without anything; no water, no liquids, nothing. The only issue that he had with not eating was the social aspect. Everything in our society revolves around food. Most social occasions revolve around food. He struggled with that because he’s a social person. Another gentleman, an Ophthalmologist, actually, was another example of someone I really came to believe when he told me that he did not eat for a long period of time and that he lived with people who didn’t eat for over a year. It sounds sort of crazy, but the point is, unless one can really experience what these people are experiencing, who’s to say it can’t be true. What kind of controversy (if any) has this film met? Tell us a bit about the process for filming this documentary. When we were on the road, we usually had a crew of 3 filming Mason and the other people we met and interviewed. We all traveled around in Mason’s van that is featured in the film and it was really a lot of fun. We spent hours driving and chatting about people we had just spoken with, digesting the new information we had just heard. It was a fantastic journey. How has the film been received by the world? What is the overall response? People really like the film. It’s been in a bunch of film festivals and won some awards, including best documentary at the Chicago United Film Festival. We have a FaceBook page and we get a lot of great responses from folks after they’ve seen the film. What I like is that it doesn’t wrap things up perfectly neatly. As a viewer, you have to come to some conclusions on your own rather than the film or filmmaker telling you what to believe. And I think that is really powerful. How can people see the documentary? We have DVDs for sale on our website: www.eatthesunmovie.com or you can go to iTunes to rent it. It’s also available on Netflix but I think they are waiting to get a lot of requests before they actually send it from your queue. We are currently arranging to stream it from our website and we’re really excited to offer that as a lot of our audience is international and that’s really the easiest way for them to see the film. Thanks for stopping by today, Peter! We appreciate your artistic exposure and thought-expanding insights. Peter Sorcher spent 12 years in New York City honing his storytelling and branding skills as a commercial film editor (represented by Red Car, NY/LA) and as a documentary filmmaker. 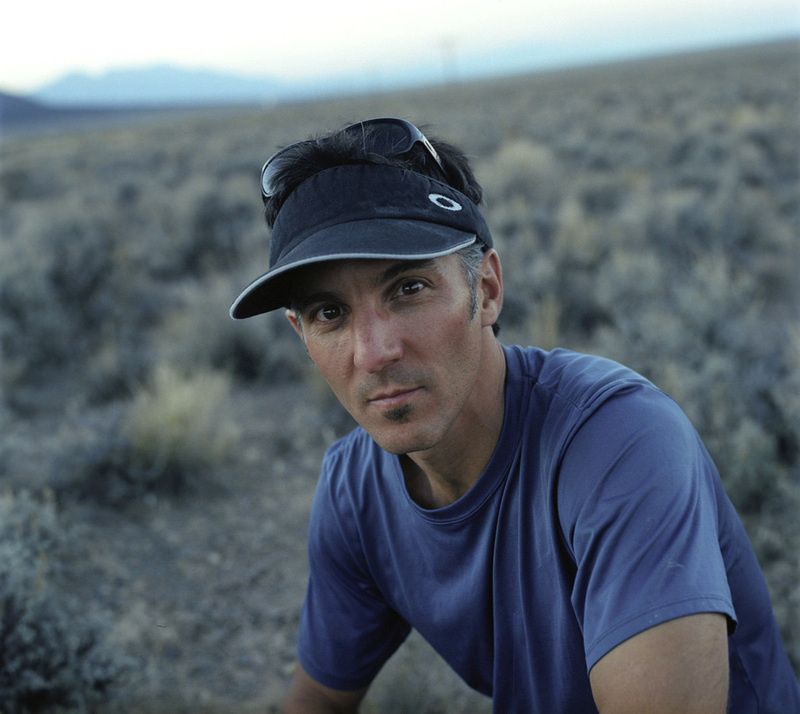 Peter’s ability to distill both the message and story from hours of footage and to infuse that with a unique visual language and creative sound design brought clients such as Coke, Nike, Sprite, IBM, Reebok, New Balance, Canon and The NorthFace. Peter’s work on commercials, music videos as well as award winning feature documentaries, led him to start Sorcher Films shortly after he moved to San Francisco. EAT THE SUN is his most recent, full-length documentary.